Author+ Premium has been selling like hot cakes recently, largely due to the ease in which you can integrate Google’s Author Rich Snippets, and the additional functionality it provides for blog editors to reward their authors. Testimonials have been glowing for Author+, with people reporting higher clickthrough rates from Google’s search result pages, as well as blog writers reporting in more traffic to their own blogs and social media profiles due to the rich author profiles on Author+ Enabled Blogs. 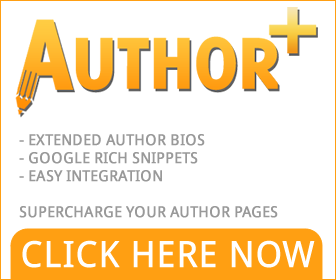 Author+ is currently undergoing a few feature upgrades, so in order to help promote the new features (which will be introduced in a couple of weeks), I have decided to give away 5 copies of this top selling plugin. I have made the competition incredibly easy to enter. Entries must be received by Midnight GMT on 21st March, with the winners announced on this blog on 23rd March. Five winners will be picked at random from all correct entries. Please note that this plugin is just for the plugin, not the installation service. One entry per person.